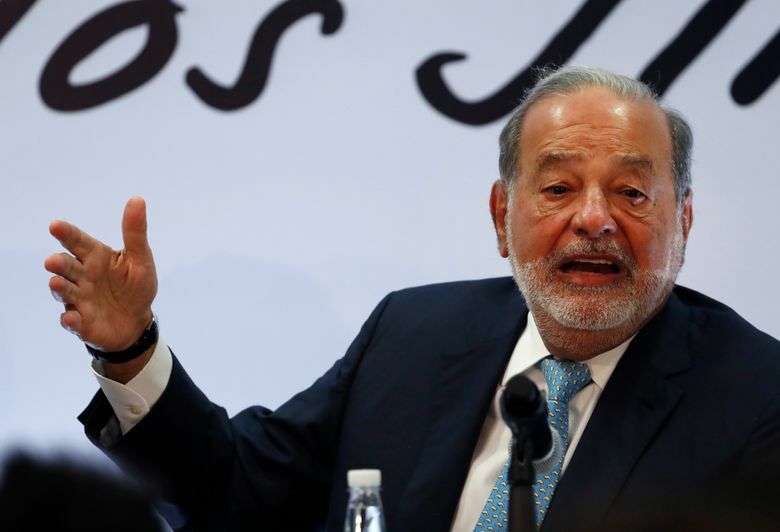 MEXICO CITY (AP) — Mexican billionaire Carlos Slim said Monday that he would be “concerned and afraid” if leftist presidential candidate Andres Manuel Lopez Obrador wins and cancels the new Mexico City airport project. Speaking at a news conference, Slim strongly defended the $9.2 billion project, in which his companies have won major contracts. 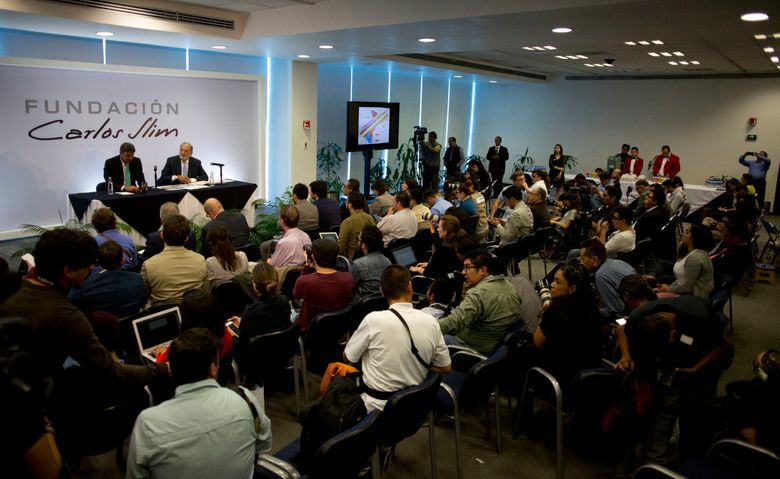 Lopez Obrador, who is the front-runner in preference polls, has called the project too costly and is pledging to cancel it if he wins the July 1 presidential vote. He says the soil at the site of the project is prone to sinking and flooding. “This isn’t a good deal for the country, for Mexicans. It is for a small group of contractors, they are going to make a lot,” the candidate added. Slim, who built his $67 billion fortune largely on cellphone and traditional phone services but has since branched out into construction, said the new airport would spur development. “Suspending the project would mean suspending the country’s economic growth,” he said. He envisions the new airport opening up land on the nearby old airport, which could be used to build a huge mixed-use development of housing, offices and parks. He said he wouldn’t have any business interest in the new development, he just wants it done. But he said hopes the Mexican government won’t yield to Trump’s demands on revising the North American Free Trade Agreement. The Trump administration has said it wants greater regional content requirements under NAFTA as well as other changes. “I hope the Mexican government doesn’t give in,” Slim said. 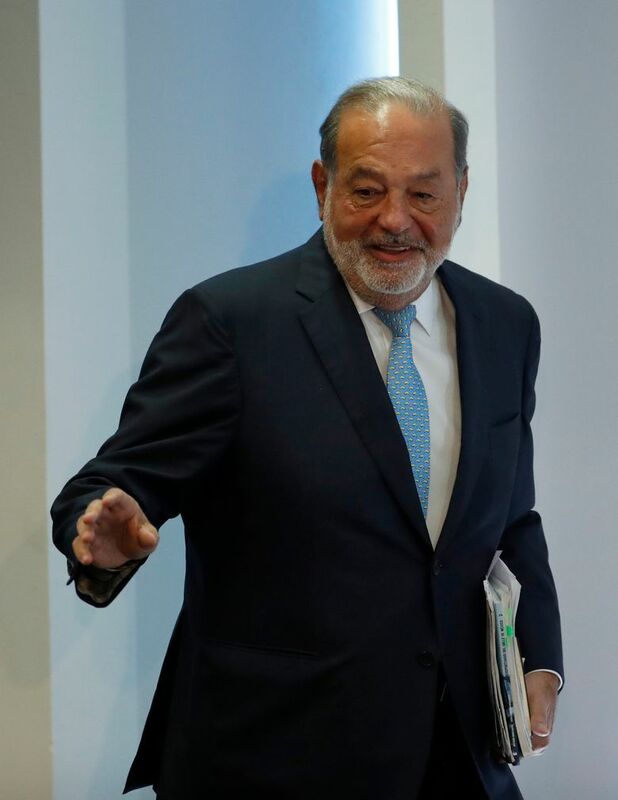 Slim also criticized Mexican regulators who have focused special rules on his America Movil and Telmex companies because they once dominated the market. He said that in measurements of so-called “triple play” — telephone lines, cable television and internet — Telmex now has a market share of only around 42 percent, placing it below the 50 percent level of market dominance. But, he said, regulators have made it hard to invest in expanding cell coverage to the 20 million to 25 million Mexicans who live in areas that have scant coverage, because automatically anyone who starts operating in those areas would have a 100 percent market share. “We have had investments frozen for the last six years,” Slim said of the telecom sector.